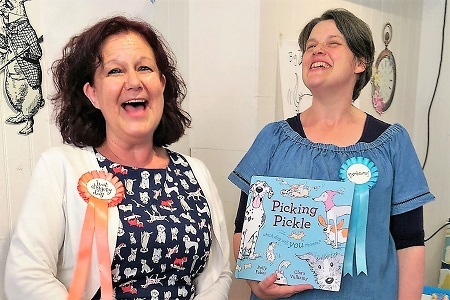 Eleven dogs were among the guests at the launch on Saturday (9 June) at Pickled Pepper Books in Crouch End of Picking Pickle by Polly Faber and Clara Vulliamy (Pavilion). 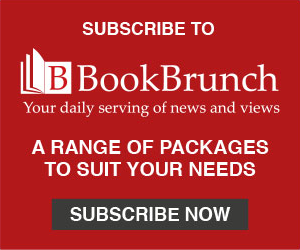 The book is narrated by a dog in a dog's home, suggesting to prospective owners which of his fellow dogs they might choose. Polly Faber read the story, to a chorus of Aaaaahs, while Clara Vulliamy drew live. 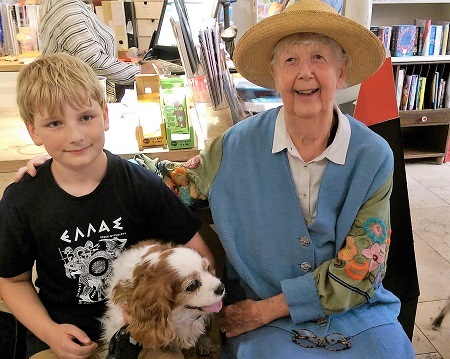 A special guest at the launch was Vulliamy's mother, Shirley Hughes. Pictures: (right) Clara Vulliamy (left) and Polly Faber; (below) Shirley Hughes with friend and his dog.